Cabe Toyota Long Beach is your source for new & used Toyota cars, trucks, SUV, parts, service and more in the Long Beach area. Our goal is to provide the best possible service to our customers and make sure your car buying experience is second to none. Our Toyota car dealership is conveniently located at 2849 Long Beach Blvd., Long Beach CA, 90806. We feature an extensive selection of new and certified pre-owned Toyota vehicles, as well as used cars from many other makes. Cabe Toyota Long Beach is committed to providing superior service in all departments, from sales to finance to parts and service, and we invite you to search through our online inventory and stop by our Long Beach Toyota Dealership for a test drive. If you have any questions, please give us a call at (562) 595-7411. Honesty & Integrity with everything we do. Cabe Toyota was one of the first Toyota Dealers in Southern California, the 32nd Toyota Dealer established in the US, and the original Toyota car dealership in Long Beach. 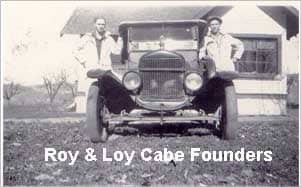 Founded by Roy and Loy Cabe, we have been family owned and operated since 1966. Our competitive advantage is our straight forward, family oriented atmosphere and treatment of our customers. We deliver superior value by offering professional, friendly and fun service at a competitive price. Toyota Customer Service Excellence Award & Presidents Award Winner for 2010, 2011, 2012, 2013, 2014 and 2015.